Whether one spouse lies about the date of a hearing or the paternity of a child, Florida courts may allow the other spouse to set aside a divorce judgment based on fraud. The effect of setting aside the judgment is as if the divorce process never occurred. When that happens, the judge rehears the case and determines a new divorce decree or judgment. Depending on the circumstances of the case, the deadline for asking the court to set aside a judgment in Florida may be as short as one year. In cases where the court has entered a default judgment of divorce, you may be able to have the judgment set aside for fraud. Default judgments generally occur where one spouse files for divorce and the other spouse does not respond to the petition. If you do not show up for the default hearing, your spouse may get what was requested in the petition. Once the default judgment is entered, you may file a motion to set aside the judgment in certain circumstances, particularly if you can show that you were not properly notified about the divorce petition or the default hearing by reason of your spouse's misconduct or fraud. The motion to set aside on these grounds must be filed within a reasonable time, but generally not more than one year after the court entered the judgment. In addition to default judgments, final orders and settlement agreements made during divorce proceedings may also be set aside due to fraud. Florida courts distinguish between intrinsic fraud, which occurs during the divorce proceedings, and extrinsic fraud, which wrongly prevents a spouse from participating in the proceedings. Extrinsic fraud allows the spouse a lot more time to set aside the judgement than intrinsic fraud. In Florida, if you can prove that your spouse committed extrinsic fraud during the divorce proceedings, you may ask to set aside the judgment at any time, while motions for cases of intrinsic fraud must be filed within a year following the judgment. Florida courts recognize fraud where one spouse misrepresents information to the court or to the other spouse. Intrinsic fraud may occur during the divorce proceedings if one spouse lies during testimony about how many assets he owns or knowingly misleads the other spouse to believe he is the father of a child when he is not. Conversely, extrinsic fraud occurs where one spouse has been prevented from participating in the divorce proceedings, for example, by falsely promising to enter into a settlement agreement or lying about the trial date. If a spouse lies about the existence of assets or the paternity of a child, it may also be considered extrinsic fraud, as it may prevent the spouse from raising property or custody issues in court. To set aside a judgment based on fraud, you must file a motion to set aside the judgment with the same court that entered the judgment. Any terms of the divorce may be set aside, including the final divorce decree, property division and custody. If you are asking the court to set aside a default judgment, you may use the court-approved family law form. For orders other than default judgments, the court does not have specific forms, so you may consider getting help from a professional to file the motion. In your motion, you will explain how the other spouse committed fraud during the divorce proceedings. The motion must be properly served on the other spouse, meaning that it must be delivered by the sheriff or another adult who does not have an interest in the case. 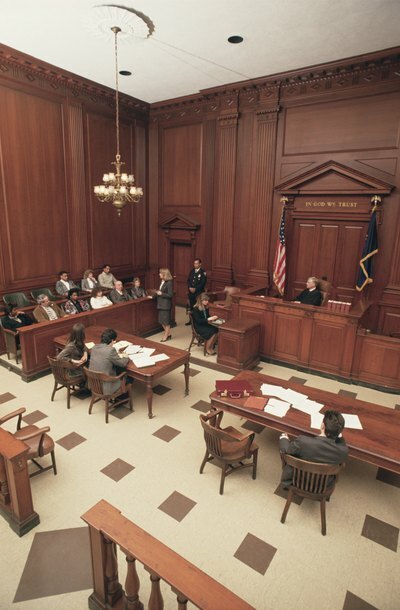 After the motion is filed and served, you may contact the court to schedule a hearing. In many states, spouses wishing to file for divorce can choose one of many grounds, or reasons, upon which to base their divorce. State laws can vary widely when it comes to divorce law. In some states, the fraudulent conduct of one spouse may provide grounds for divorce, though this is more commonly grounds for annulment -- which voids the marriage as if it never existed -- rather than divorce.